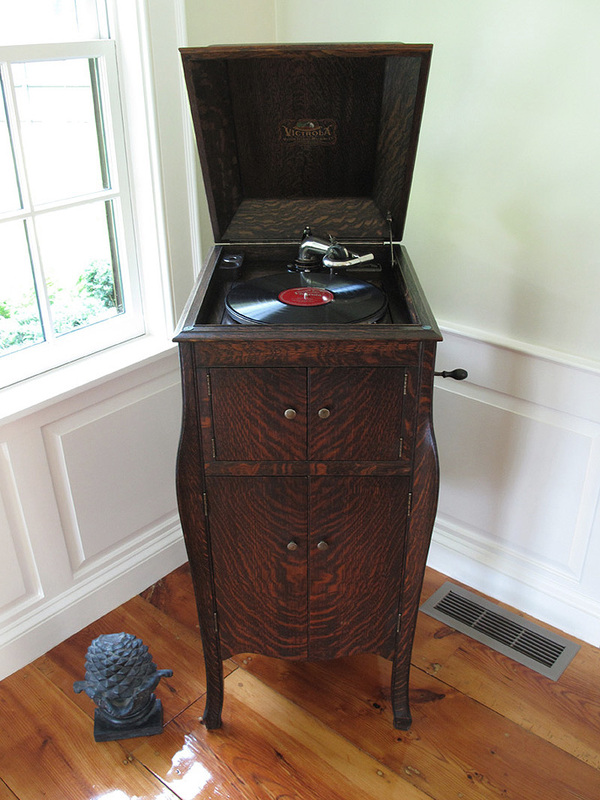 A completely original Victor Victrola in very fine condition. It’s been looked at carefully, and the oak finish has never been tampered with or restored. It has been thoroughly cleaned and polished. There are no signs of any varnish or shellac. The oak finished models originally came with a waxed finish. The doors and hinged top open and close, as they should. All the hinges and knobs are in fine condition, with the original patina. The nickel-plated interior brightwork is all in great order and received a light cleaning. Mechanically, the Victrola is also in excellent working order, with a loud and crisp soundbox. The spring holds an incredible amount of energy, as it will play many records on one full winding. There is a good supply of needles in the hopper, off to the left rear side. The original sticker is present on the rear, with all the various patents visible. 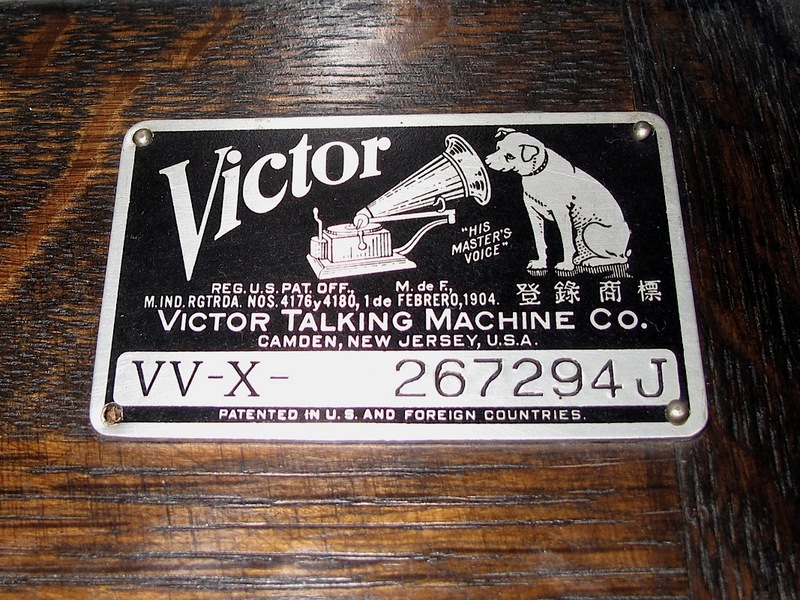 The interior number plate and Victrola logo are in excellent condition. It’s incredible how fine this machine is, considering it’s age. It came from an estate and likely did not move, from the very day it was delivered. There are only a few very small dings on the wood cabinet and a few very small scratches on the top lid. The felt turntable pad is completely original and does show signs of age and wear. The felt can easily be replaced with an identical new one, for a very low cost. 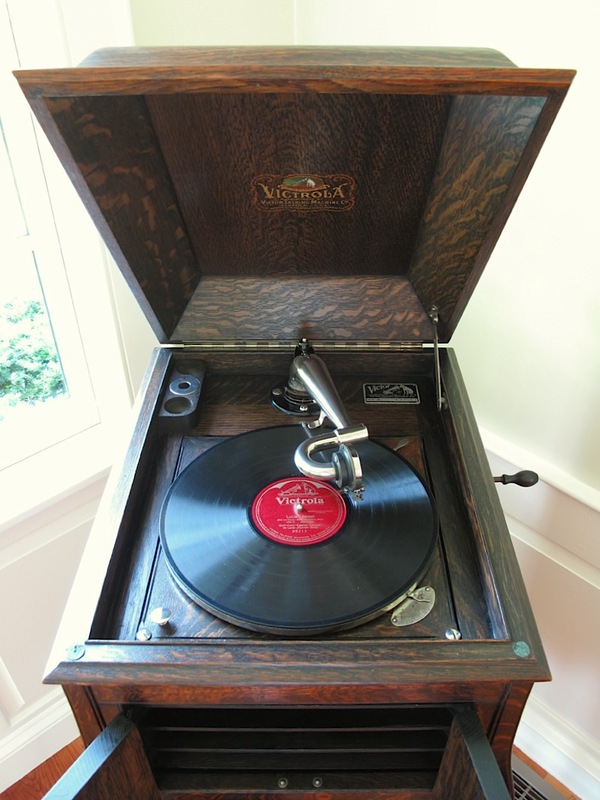 I haven’t replaced it, as I want to offer this Victrola in completely original condition. I have never seen a Victrola or other phonograph in ORIGINAL CONDITION, this finely preserved. It’s ready to entertain for another 95 years, with proper care. Bring it home, wind it up and enjoy the collection of records, which come with it. Many of the discs are dated 1906 and are single-sided. There are a few Harry Lauder records included. 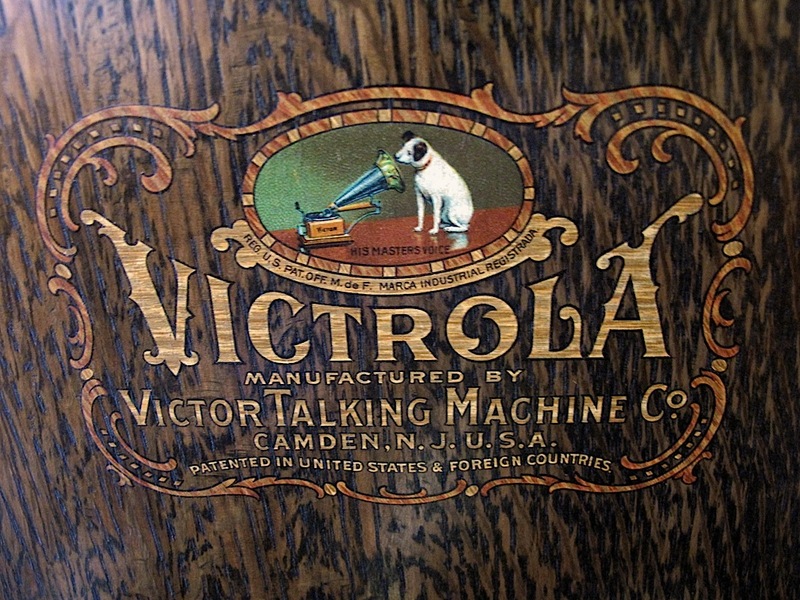 On request, I can provide a full list of recordings, which go with this Victrola VV-X. Additional photos available. Local collection/pick up would be most desired. The buyer can arrange freight shipping at buyers expense, with no seller handling provided. Although, I can assist with arranging a delivery to a freight company or pick up. 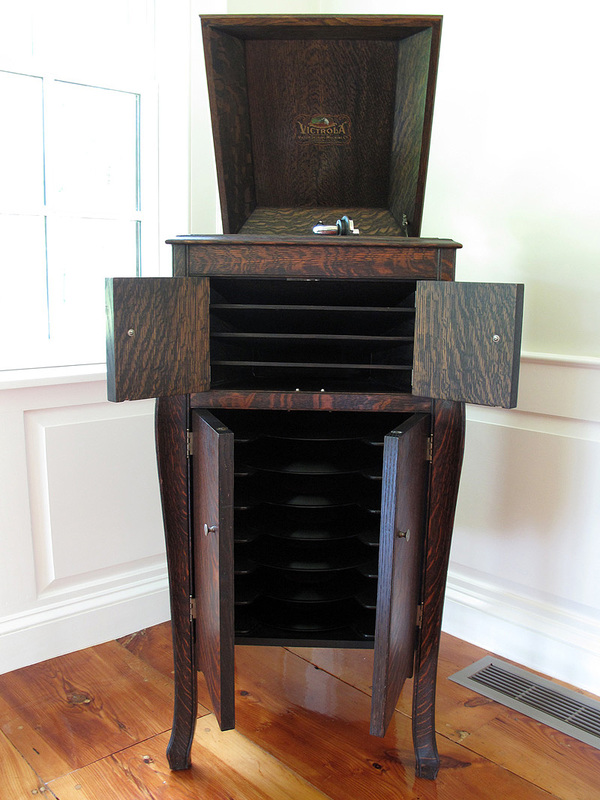 For a fee, the Victrola can be delivered throughout New England, Boston and the New York City area.